In today’s fast-moving world, it’s very hard to stay focused and clearly communicate and understand important information. One of the biggest components that leads to poor communication is the number of channels we use on a daily basis to discuss pretty much everything. We’re having conversations over the phone between meetings trying to explain the details of a task to one of our employees. We’re using video conferencing to catch up with co-workers abroad, updating them on the most recent changes to a project. Not only do we write and receive emails constantly, but we instant message the person sitting two desks ahead of us and text our spouse during lunch breaks — and on top of that, we keep in touch with old and new friends over multiple social media platforms. The number of channels we are confronted with on a daily basis is exhausting. It has the potential to lead to a lot of problems in life and certainly at work. And the ways of communicating are only going to increase. How many times are people not hearing and understanding essentials, misinterpreting messages that make them angry or not executing right? It can be incredibly frustrating to have a conversation in one form or another, only to find out hours, or sometimes even days, later that the person on the other end has misinterpreted everything we’ve said, leaving us disappointed in having to start explaining all over again. Confusion, misunderstandings and sometimes even arguments arise from using too many different channels over a messaging window or on the phone to educate others on their responsibilities and share our thoughts, ideas and feelings. 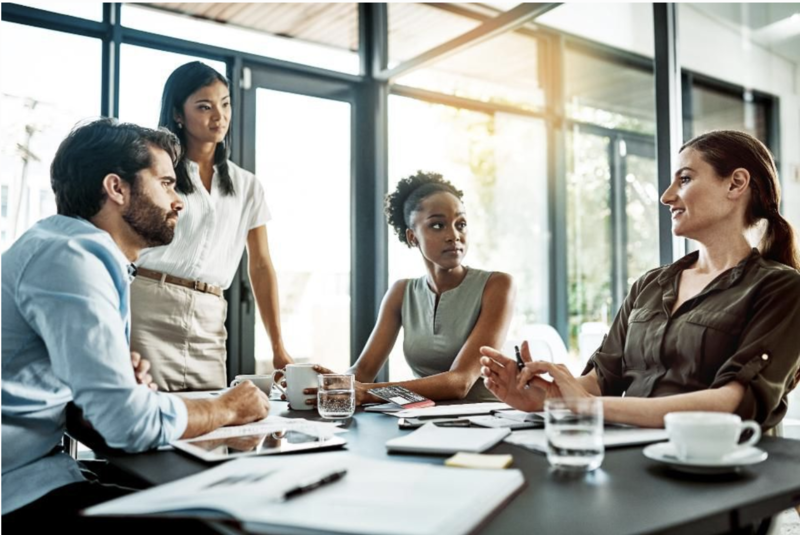 We live in a multicultural world with language and cultural challenges, which makes it even harder to get on the same page with a person or team, especially in the workplace. Bottom line: Of the many different symptoms of communication is an overload of information with no clear structure and vague directions. Not many truly understand the foundation of effective communication — the kind that saves us hours of unnecessary texting defeated peers and more headaches. We can’t always communicate and understand the message behind the words and sometimes can’t really express what we’re trying to say. Does a smiley really take out the sting behind the message? Can we use only words to explain our intentions and expect the person on the other end to read our minds? Too often, due to a lack of information, people don’t understand what they’re supposed to do. In the end, it doesn’t matter that we have all the tools if we can’t use them properly to make them work in our favor. First, choose the right form of communication for the right occasion. If the subject is important and sensitive, choose an in-person meeting or at least a phone call to discuss the matter. Additionally, always double-check that the other person understood everything, and leave space for questions. Be aware, and don’t presume that your attempt of communicating was successful. Maybe even hit the “mental button” and think things through. Seek to gain perspective and know who the receiver or audience is, and then communicate in their language. Ask yourself how they might interpret certain information, based on their experience, language, religion or culture, and explain more detailed if needed. When in the role of the receiver, reflect back, and don’t hesitate to ask for further clarification if something is not understood on your side. Effective communication could be considered a long-lost art in the 21st century. Things come at us from left and right, and we often don’t take time to think, reflect and set an intention for a conversation. But if we want to speed up processes in the office, be well understood and have people execute properly, it’s important to know the fundamental principles of communication. When we know the person we’re communicating with, we can seek to understand things from their point of view and then clearly explain the matter, leaving less space for miscommunication and disappointment.